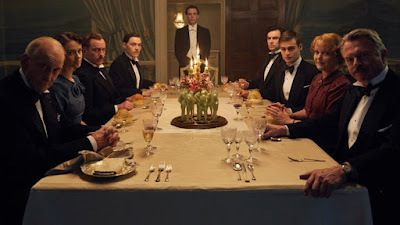 I'm not a fan of Agatha Christie, but I watched part one of And Then There Were None on the Lifetime Channel because of the fine cast of actors, such as Charles Dance, Sam Neill, Miranda Richardson, Toby Stephens and others, as well as the fine reviews the BBC drama received. One actor in the cast that I was not aware of caught my eye, as he did a good number of other viewers. 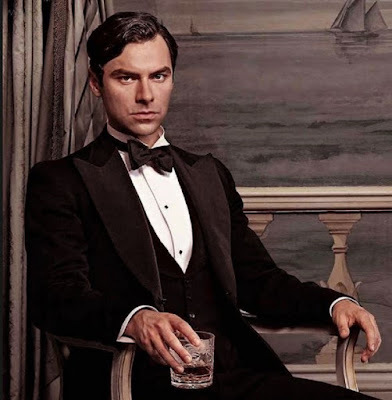 Like the many people who commented on his performance via twitter and other social media, I too think Aiden Turner (seen in the above photo) would be an excellent choice to portray Ian Fleming's iconic character James Bond. I hope the Bond film producers tuned in to the show. Note: You can click on the above photo to enlarge.